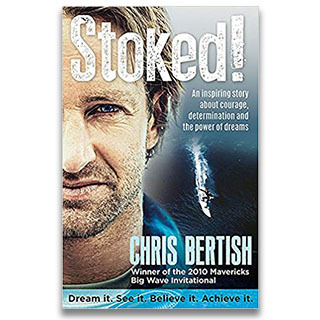 In everything he does – from inspirational speaking around the globe to breaking world records in Big Wave Surfing and Stand-Up Paddleboarding – Chris Bertish shifts boundaries and shatters perceptions of what’s possible. His mantra, Dream It. See it. Believe It. 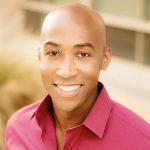 Achieve It, defines his approach to success across multiple sports and as a respected visionary, author, filmmaker, environmentalist, philanthropist, and businessman. 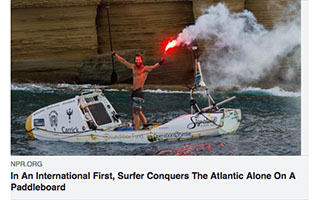 He recently redefined the concept of Extreme Adventure by becoming the first person ever to Stand-Up Paddleboard across any ocean. 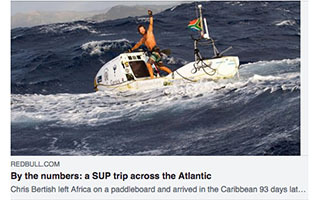 Defying all odds, Chris paddled 7500km – solo, unsupported and unassisted – for 93 days, across the Atlantic Ocean from Morocco, Africa to the Caribbean Island of Antigua. By conquering this challenge, Chris showed the world that we all have the power to overcome the impossible. This is a truly unparalleled global feat! His philosophy is one of positive change, starting with ourselves and how we can make an affirmative difference in our lives, our business, our communities and the world around us. Chris recently shifted his entire business model to focus on being a force for good becoming a certified B Corporation and a 1% for the Planet Member. A portion of all of his speaking fees goes towards children, education, and environmental charitable initiatives Operation Smile, The Lunchbox Fund, Two Oceans Aquarium for which he is an ambassador and building schools in some of South Africa’s impoverished regions. Known to inspire, educate, and motivate global audiences by sharing his captivating experiences, Chris’s storytelling delivers a spellbinding and enthralling narrative that will blow you away, ignite your greatest potential and be the change you want to see in the world. In 2018, Chris was unanimously chosen as one of the 100 leading global visionaries by the International Executive Committee of the Inspired by Einstein Project along with fellow luminaries, Barbra Streisand, Deepak Chopra, Salman Rushdie, Shimon Peres, and Sir Ridley Scott. 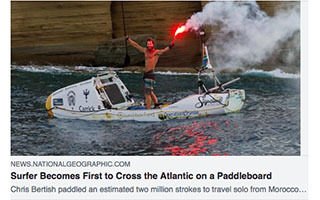 There has never before been a solo expedition so wild, extreme, and hazardous that as Red Bull, Nat Geo, and the New York Times said, ”Redefined Adventure!” But not only did Chris’s incredible Stand-Up Paddleboarding (SUP) Crossing transcend the limits of what was thought to be humanly possible, it was completed for an incredible life-changing purpose that directly impacted and inspired millions around the world. Chris rides waves the size of four-story buildings for fun. He won the Maverick’s Big Wave International surfing event in the biggest waves ever recorded in the history of the sport. 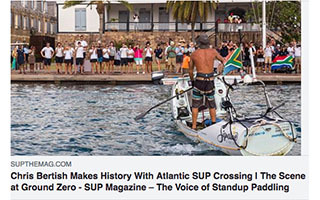 He holds the South African Open Ocean Stand Up Paddleboard (SUP) 24-hour Distance World Record. Chris is living proof that if you truly believe in something, set your sights on your goal – no matter how big – if you work hard at it, stay focused and never give up, you can achieve anything. The Maverick’s Big Wave Story tells the tale of how a regular working guy from South Africa manages to get halfway around the globe to win the prestigious Maverick’s competition (TITANS OF MAVERICKS), the world’s premiere, high adrenaline, big wave surfing event, overcoming seemingly impossible obstacles along the way, against all odds. During this one-day, invitation-only surfing competition 24 TITANS attempt to compete at the highest level of skill, risk and athleticism to stand out and effortlessly challenge the massive swells on the biggest and best day of the winter season. 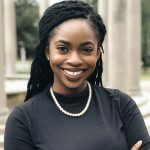 It’s a story that is filled with insight about overcoming obstacles, the power of the mind, embracing change, determination, never giving up and tackling the “impossible”. A completely unique and very intimate & personal, informal evening around a fire/fire-pit, at a venue/location chosen by the client. Chris will open the session with some of his stories in a relaxed, intimate, yet casual setting, without audio visual. Clients get the rare chance to talk and engage on a one-on-one basis with Chris and find out the secrets to the magic that makes him tick, what inspires, drives and motivates him to achieve the seemingly impossible time and again and to continue doing so. This personalised session is perfectly suited to smaller groups who want a really unique and special evening comprised of your Executive Committee, VIP Guests or recognised top achievers. It’s an opportunity to engage and hear various stories about some of the greatest Adventures of our time, from the man himself. From massive waves, to great white sharks, giant squids, to World Records, Guinness World Records, crossing the Atlantic, surfing Shark Island and so much more… Ask Chris the questions that you don’t get the answer to in a formal talk! This will definitely be a night to remember and one every guest will never forget. 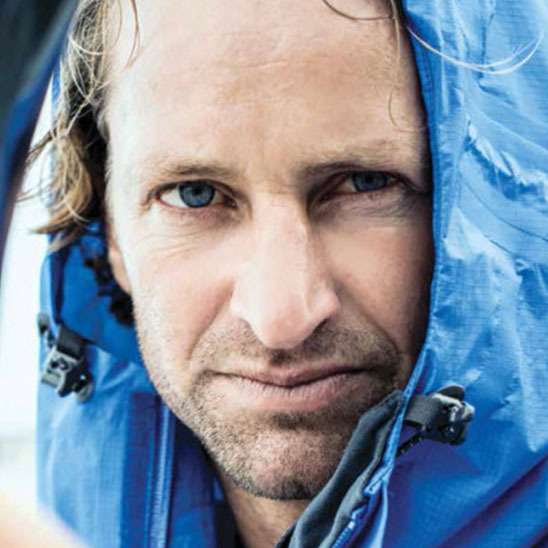 Chris will join your team or event for a sit down dinner and open the evening with a 30 minute talk on the subject of your choice, such as his latest epic expedition; The SUP Crossing – Go The Distance. 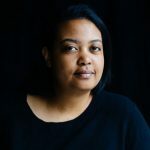 The floor will then be opened to the audience for a personal Q&A session presenting the opportunity to deep dive into the intricacies and complex elements of the adventure, Chris’s psyche and experiences. Enjoy a wonderfully inspirational evening with your team celebrating achievements or recognizing valued clients. This informal, entertaining and motivating session complemented with food and drink will prove to be the highlight of your calendar. 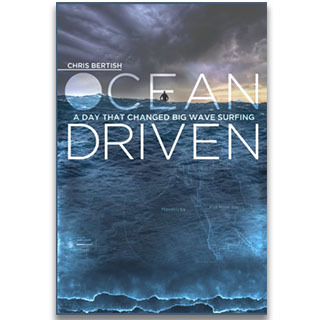 Chris is a bestselling author, Award Winning Film Maker, Environmental Warrior, Ocean Pioneer, Big Wave Surfer, World Record Breaker, Philanthropist, and Professional Speaker… 2 hours with Chris is the paradigm shift your company deserves! Personalize your copy of Chris’ bestselling book, Stoked! 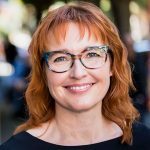 Chris has been in corporate business as Sales Director, Marketing Director, Brand Manager, CEO of multiple global organizations and companies as well as achieving world records across multiple different sports and disciplines. This is a dynamic team session as Chris actively leads you through his blueprint for success on how to attain any goal in life, work, and business. Learn to SUP and receive some tips and techniques from the world’s most accomplished stand-up paddle boarder in a controlled and safe environment! Anyone from any background, shape, age, and size can learn within half an hour. Chris offers personal guidance, expert tuition, advice on open water paddling, water safety, body posture, correct style and technique to optimize stroke and maximize SUP’ing enjoyment. It’s safe, easy to learn and great exercise and most of all, loads of fun! @chris_bertish @MIAMIIRONSIDE At Coverings ETC, we proudly encourage that kind of action, that Chris made for charity in order to help many children all over the world. Thank you to @Genius100Vision, @RealLuneRouge and Ofer Mizrahi for making this event possible. Being fearless doesn't mean eliminating fear. Being fearless means knowing how to leverage fear. Practice being fearless...achieve what you set out to achieve. Many of us are afraid to stray outside our comfort zones which often keeps us from experiencing/achieving many things in our lives. Instead of focusing on all the reasons why you can’t do something, just find one reason why you can..